The topic of Jeff Ritzmann's latest Paranormal Waypoint was alleged UFO cover up. The show aired on KGRA Radio the evening of Tuesday, June 24. I found listening and following along in the chat room to be time well spent. As the episode came to a close, Ritzmann suggested he finds the topic quite interesting and could discuss it for hours. I can relate to that, and would therefore like to write some about it. For one thing, I particularly appreciated Ritzmann's willingness to address at length the complexities of UFOs as they relate to spy games, deception operations and disinformation. Important phrase here, please: This is typically not an activity that garners much support. As a matter of fact, careful and accurate examination of government UFO-related sleight of hand is entirely likely to substantially decrease one's popularity within the UFO community. There are several reasons that is the case. All of those reasons pretty much boil down to the same thing, though: Supporters of the ETH – or even those who tend to see UFOs as indicative of some kind of yet to be understood high strangeness – become insecure. If we can get past that and understand there are many extremely interesting aspects of ufology that do not necessarily have anything to do with the experiences and perceptions of anyone in particular, we liberate ourselves to embark on some very intriguing subject matter. You know how it goes, though. Reporting on hoaxes and professional photo analysis just are not crowd pleasers. It's very similar with considerations of spooks in ufology in that if you suggest the G-Men are hanging around for any other reasons than to hide and explore an alien presence, or at the least a mysterious phenomenon, you're often encouraged to pack up your research and take it down the road. I therefore appreciated Ritzmann's careful and measured approach to the topic. Why so Much Official Interest in Ufology if There's No Cover Up? - Leading global adversaries to fear extraordinary "UFOs" are actually advanced exotic US aircraft and weapons of which they are defenseless. - Leading adversaries to fear UFOs may actually be alien spacecraft, of which any number of concerns should arise, including US officials have reverse engineered aspects of the craft and/or collaborated with the occupants to receive access to advanced technology. - Leading adversaries to frustratingly conclude they have become confused about UFOs to the point of accepting they have virtually no idea what is flying around, who flies it or what its capabilities may be (not entirely unlike many members of the UFO community). - Meme creation and tracking, which have been repeatedly demonstrated by agencies such as the USAF and DARPA to be prioritized and valued for psychological warfare reasons ranging from spreading dissent to manipulating superstitions. - The use of public perception of the UFO phenomenon as cover for classified operations that have nothing to do with unexplained aerial phenomena, extraterrestrial life or anything of the kind. Many more reasons could be listed with citations of confirmed examples. It's not just hypothetical by any means, but documented Cold War history. Further complicating the already complex circumstances is the popular yet unsubstantiated suspicion of an all-knowing, ultra secret governmental body that scrupulously conceals the answers to all our questions. There is almost certainly no small group of select individuals or single person aware of details about everything of ufological interest ranging from Roswell to Rendelsham. Neither is there a lone reason employed for some 70 years as to why the intelligence community manipulates various circumstances that we, in UFO circles, typically interpret to be related to ufology. There are lots of different reasons. Specific purposes change from one circumstance to the next. There is no single reason Uncle Sam - and his evolving personnel from one era to the next - would go to so much trouble; it involved matters of opportunity, necessity and feasibility from any given situation to another. To many a UFO enthusiast the issues of interest become if the powers that be have any direct knowledge of the actual nature of UFOs and if they are intentionally covering it up. As Ritzmann aptly pointed out, that is going to be difficult to conclusively answer for a lot of reasons. One of the biggest challenges is that learning more is no longer a matter of getting just Uncle Sam to open his archives - and difficult as that may have been. Those days are gone and it's now even more complicated. Controversial philanthropist Robert Bigelow has been flip flopping between acting as a funding source and pulling the rug out from under ufologists for decades. If he has obtained any information of particular relevance, many would argue we'd sooner get the NSA to lay their cards on the table – and assuming, of course, they're not virtually one and the same. 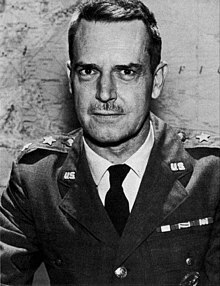 In preparation for a previous post, I asked Col. John Alexander a few questions about his interpretations of some situations in which he was involved with Bigelow at the time, including the Carpenter Affair and if the colonel was at liberty to discuss relationships between Bigelow corporations and intelligence agencies. "You should ask Bigelow if you are interested in old affairs," Alexander replied. Private citizens and private corporations, under no obligations to the Freedom of Information Act and conducting what amount to intelligence operations, may pose some of the greatest challenges of all to researchers' abilities to document actuality. The difficulties are in all likelihood an intentional outcome whether or not the UFO mystery may have played a minor role in their design. Washington, DC-based consulting firm Booz Allen Hamilton reports an annual revenue approaching six billion dollars. Some 99% of its contracts are awarded from the US Federal government, including the NSA, FBI, Department of Defense, Department of Homeland Security, Army and Marines. The corporation is a popular employment option for both current and former professional intelligence personnel, and its executives have included former and future high ranking officials and directors of such agencies as the CIA, NSA, National Intelligence Agency and Homeland Security, among others. You're not going to be getting access to BAH's files. Not now, not in the foreseeable future and probably not ever. There will be no declassification process, and BAH is but one corporation of many providing Uncle Sam with options for intelligence outsourcing; options that some liken to non-governmental CIAs. Those would be, in effect, intelligence agencies never subjected to Congressional oversight. I'm not trying to tell you there are no UFOs – and neither did Ritzmann. But I am most certainly trying to tell you to at least suspend judgment pending verifiable information before you draw conclusions about what roles the intelligence community may have played in the apparent UFO mystery. Another point of interest for me on Paranormal Waypoint Tuesday was a situation described by Ritzmann relating to the complexities of trying to reason our way through subject matter so often involving deception. He explained a circumstance about witnesses who apparently did not know each other and resided far apart, yet offered similar testimony. Ritzmann questioned whether or not such a situation might be as credible as it initially appears, considering the resources available to professional architects of deception. Ritzmann particularly questioned the decision-making process of researchers who choose to accept such witness testimony as accurate and subsequently promote it. I happen to currently be reading The Rosetta Deception by James Carrion. While any number of circumstances could be cited involving procedures to intentionally cultivate rumors and spread propaganda that would justify Ritzmann's concerns, I will call on Carrion since his work happens to currently be sitting on my desk. On page 62, in a chapter in which Carrion conclusively demonstrates the manners a rumor can be simultaneously spread by multiple sources, including news agencies seemingly 'verifying' the story by quoting one another, he documented protocol as developed by the British Security Coordination. "Rumors are most effective," the BSC trained its personnel during the mid 20th century, "if they can be originated in several different places simultaneously and in such a way that they shuttle back and forth, with each new report apparently confirming previous ones." The skilled and effective BSC also noted that a good rumor should never be traceable to its source. Please be advised that there is indeed no substitute for actually confirming a claim. Verifiable evidence available for public review is virtually the only circumstance that justifies anything more than suspension of judgment in such situations. A captive's anxiety could be heightened, for example, by rumors that the interrogator possesses semi-magical techniques of extracting information. A group of collaborating captives could verify that interrogees lose all control over their actions, and so on. After such preliminary conditioning, a "trance" could be induced with drugs in a setting described by Orne as the "magic room," where a number of devices would be used to convince the subject that he is responding to suggestions. For instance, a concealed diathermy machine could warm up his hand just as he receives the suggestion that his hand is growing warmer. Or it might be suggested to him that when he wakes up a cigarette will taste bitter, it having been arranged that any cigarettes available to him would indeed have a slight but noticeably bitter taste. With ingenuity a large variety of suggestions can be made to come true by means unknown to the subject. Occasionally these manipulations would probably elicit some form of trance phenomenon, but the crucial thing would be the situation, not the incidental hypnotic state. The individual could legitimately renounce responsibility for divulging information much as if he had done it in delirium. Perhaps Deshere is giving us a glimpse into one of the most intriguing aspects of all of the Mirage Men's elusive tricks: They did not have to perfect the brainchildren born in the labs of mad scientists – or necessarily even get the ideas to work at all – as much as lead the world to believe so. A preferred mind control technique may have been to lead a subject to believe his handlers possessed effective mind control techniques. Did similar deceptions come into play in UFO Land as depicted by Mark Pilkington in his book and resulting film? Certainly so. The relevant questions become the extents and specific circumstances. Is the UFO cover up more about leading certain people to believe there is a cover up than there actually is one? That would certainly serve some deceptive purposes as listed above, such as confusing and inducing fear in adversaries. However, I think the answers to such questions ultimately depend on each specific circumstance. Many documents will remain classified that reveal secrets of Mirage Men tactics involving the manipulation of beliefs of alien visitors and UFOs, yet had nothing to do with what some might describe as actual UFO phenomena. See the complexities of declassifying such information - and the inherent impracticality to a formal UFO disclosure? While official lips remain sealed about some Mirage Men operations, ufologists will continue to often incorrectly interpret that lack of government disclosure as necessarily indicative of an orchestrated UFO cover up. Where the line is drawn, and what the differences may be, between UFO-related deceptions and actual phenomena will remain intriguing questions – and probably unanswered – for a long, long time. I was recently alerted via a tweet by Dr. Jeffrey Kaye of a declassified CIA memo I found interesting. Kaye is a San Francisco Bay area psychologist and writer who focuses upon human rights issues, the intelligence community and related circumstances. The 5 May 1955 memo is titled, Hypnotism and Covert Operations. Its author is not identified. The memo contains such ominous observations as the potential of hypnosis as a covert weapon would be more thoroughly understood if field experiments, that could not be conducted by what was termed a laboratory worker, were carried out. Currently there is a murder trial in [redacted] in which the murderer has been judged to have been under hypnosis at the time of the crime. He has been retried, released and the hypnotist tried and convicted. The case is now under appeal. The comment of the three knowledgeable informants was that the hypnotist must have been a rank amateur to have been found out since any experienced operator would have known how to suggest away the fact that he had arranged the crime. Wow. Is that the voice of experience, or just speculation, one might be inclined to ask. Initial research of such circumstances revealed an 1895 New York Times article titled, Hypnotism as a Defense. While the Kansas case explored is obviously not the case referenced in the 1955 CIA memo, it is indeed interesting. Matters of money seemed to result in Anderson Gray's desire to murder a rival. He apparently used his study of hypnosis to persuade a subject to attempt, unsuccessfully, to carry out the crime. However, the greedy man's fate - and the fate of his rival - were sealed when he tried a second time! The evil doer was accused of hypnotizing yet another subject and framing the circumstances in a manner that would justify the subject killing the target, which took place. Given the court's interpretation of the circumstances and the bizarre history, Gray was convicted of a murder committed by another man, his hypnosis subject. A more likely candidate for the case mentioned in the CIA memo was a 1950's era chain of events occurring in Denmark involving Bjorn Nielsen and Palle Hardrup. 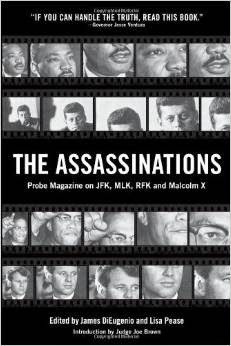 Sources include The Assassinations: Probe Magazine on JFK, MLK, RFK and Malcolm X, among others. In a complex series of trials, retrials and reversals surrounding bank robbery and murder, hypnotist Nielsen was convicted for the actions of his hypnosis subject, Hardrup. Key personnel during the CIA venture into hypnosis included a number of prominent professionals. Alden Sears conducted work in MKULTRA Subprojects 5, 25, 29 and 49. CIA consultant, New York psychologist and former president of the American Society for Clinical and Experimental Hypnosis Milton Kline told groundbreaking writer/researcher John Marks that he could create a patsy in three months and an assassin in six. Psychiatrist Martin Orne conducted hypnosis-related research within MKULTRA Subproject 84. He published many papers on the subject of hypnosis and was considered a leading expert. Orne explained to the Agency and on a number of occasions that persuading someone to do something while hypnotized was not entirely different from encouraging a person not hypnotized to carry out a desired action, in that the circumstances had to be framed in manners of which the subject would approve and agree. For instance, whether killing a person is atrocious or heroic is a matter of context, and possibly as understood by Anderson Gray in 1890's Kansas. Orne has shown that the demand characteristics of an experimental situation may greatly influence a subject's hypnotic behavior. It is clear that at some level any cooperative subject wishes an experiment to "work out," wishes to help fulfill the experimenter's expectations. If he grasps the purpose of the experiment or the bias of the experimenter, he is disposed toward producing behavior which will confirm the experimenter's hypothesis. This is particularly true in a hypnotic relationship. Orne was featured in an article written by Dr. Patricia Greenfield, the sister of John Marks, published in the December 1977 edition of the American Psychological Association Monitor. Commenting on medical professionals acting as MKULTRA consultants and the liabilities inherent to conducting such research, Orne told Greenfield, "We are sufficiently ineffective so that our findings can be published." My interest in the UFO phenomenon evolved over the years to include an interest in the intelligence community, or IC. This should be quite understandable, as those even mildly familiar with the UFO scene should be well aware you can't toss a dead rat in the American UFO community without hitting a spook. He shouted out, "Who killed the Kennedys?!" Those of us interested in ufology and its sub-categories, such as alleged alien abduction, are also aware you don't have to pull too many loose threads before you find yourself immersed in researching conspiracies such as the Kennedy assassinations. Topics such as intelligence agencies, mind control and the exploitation of involuntary human research subjects might become standard fare for the thorough and sincere researcher of UFOs. My expanding networking circles and selected reading materials naturally came to include increasing numbers of researchers and authors with interests in the Cold War, its conspiracies and their historical significance. In the process, I came to understand more about psychological warfare and the IC. 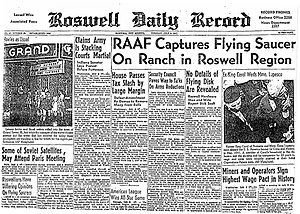 I learned about circumstances such as a 1949 USAF Project Grudge report that noted, "Planned release of unusual aerial objects coupled with the release of related psychological propaganda could cause mass hysteria." Indeed it could. I confidently suspect it has. I learned something called electronic countermeasures were used to create false radar paints. According to a report composed by CIA man Gene Poteat, Project PALLADIUM was jointly conducted during the mid 20th century by the NSA, CIA and DoD, and phantom aircraft of any size desired could be made to appear to travel on any flight path at any speed and altitude. In at least some circumstances the false paints were coordinated with the release of what Poteat described as "balloon-borne metalized spheres of different sizes." 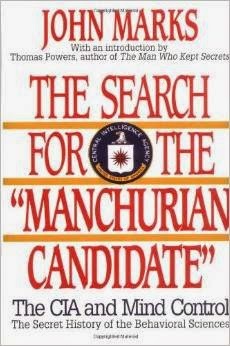 I read transcripts of Congressional hearings and books by writer/researchers such as John Marks that clearly confirmed the exploitation of involuntary human research subjects. The bizarre and extreme nature of experiments conducted within operations such as ARTICHOKE, BLUEBIRD and MKULTRA were of such questionable conditions that the mental health of the project personnel themselves would be called into question. One CIA officer, Marks reported, after reading a project memo, wrote to his boss, "If this is supposed to be covered up as a defensive feasibility study, it's pretty damn transparent." Circumstances portrayed in now declassified documents bear striking similarities to those reported by select self-described alien abductees. As I became more familiar with researchers and genres outside the UFO community, I learned something I think is important yet widely eludes the average UFO enthusiast: Researchers within genres that overlap with ufology, such as the Cold War and conspiracies of historical significance, tend to hold much more complete and accurate perspectives of the IC – and its specific players – than do their ufology counterparts. People who research and write about Cold War secrets often demonstrate thorough understandings of complex dynamics involving members of the IC who played roles in ufology. Such researchers tend to understand the potential relevance of such circumstances more than seems to be the case among members of the UFO community. UFO-researchers often appear to suffer from a tunnel vision type of bias; they tend to view everything in the context of possible alien visitation. Perhaps in some instances it is due to sincere lack of abilities to think critically and consider broad ranges of possibilities, while in other cases it appears intentional and disingenuous suppression of certain material and circumstances is likely. Ufologists (who fail to account for Cold War relevance), if they broach the subject of the IC at all, tend to focus on relatively trivial and often hypothetical circumstances, as compared to forming wider and more practical contexts. Many of them seemingly automatically and prematurely equate the IC activity in ufology with confirmation of an alien presence. Seldom are deeper implications and evolving objectives of intelligence agencies from one era to the next taken into account. The UFO community and its researchers rarely consider the overall careers of intelligence officers who moonlight as ufologists, as compared to focusing virtually solely upon their UFO-related activities. All of that is the case in spite of the wide availability of factual material that could provide deeper insight. To ignore such material is detrimental to accurate reporting and counterproductive to identifying truth. Investigative journalist Annie Jacobsen hit the proverbial ball over the fence with Operation Paperclip: The Secret Intelligence Program that Brought Nazi Scientists to America. The author provided a thorough accounting of intriguing circumstances, some of which were never before released, surrounding the end of World War II and its spy games. The book is a fine work that should appeal to many genres. UFO-researchers would be well advised to take note of the professional research skills demonstrated by its author. The UFO community might also be wise to consider the manners intelligence officials practice deception, and in what capacities. In the case of Operation Paperclip, parameters were initially set dictating the circumstances of which German scientists could be recruited, yet were systematically expanded. In Orwellian-like fashion of pigs revising and whitewashing community rules painted on the barn wall, US officials repeatedly reworded the parameters to eventually allow recruitment of basically anybody, including known Nazi war criminals. The US government intentionally hid the circumstances while offering asylum and employment to German officers. Such officers included men who had been responsible for the design and implementation of slave labor camps and agonizingly cruel experiments conducted on human research subjects resulting in inconceivable numbers of deaths. During the Nuremberg trials, some of the very rare survivors provided testimony. One man, a former prisoner at a concentration camp, attempted to stab his abuser during the hearings. He attacked the Nazi for what was described as surgically removing part of his liver without the use of anesthesia. Another young Polish woman and a medical doctor testified how, while she was held at a concentration camp, her shins were intentionally broken and infected with gangrene, apparently in order to study the circumstances. Her abuser went on to be employed in America for a time. Such experiments included studies of dehydration/dying of thirst, freezing to death and effects of altitude and air pressure. The vast majority of research subjects died in the process, sometimes while being intermittently photographed doing so. 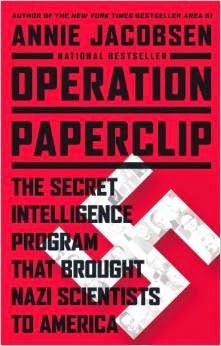 The men recruited during Paperclip numbered over 1,000 and many went on to hold key positions in American corporations and intelligence operations. Some became high profile public figures who were falsely portrayed to be good world citizens oppressed by the Nazi rise to power. Their work included significant aspects of the American space program, and they were among the original architects of CIA behavior modification/mind control ventures. We might be wise to look into that more deeply, or at least consider its potential relevance, from time to time. I was recently alerted to an interesting item by Lisa Pease via Twitter. Pease is a conspiracy-researcher with a competent working knowledge of the IC. An expert on the 1960's assassinations, and particularly the murder of Robert Kennedy, she co-edited The Assassinations: Probe Magazine on JFK, MLK, RFK and Malcolm X, a 2003 book containing several of her published articles. Pease was recently interviewed on Black Op Radio and is currently in the process of composing a second book. A sample of her written work may be viewed in her 2011 Salon piece, The other Kennedy conspiracy. It contains some potentially quite relevant aspects of hypnosis, among other points of interest. Pease tweeted a link to a 1989 edition of the Journal of the American Folklore Society. It contained a report authored by Lydia M. Fish, who explored the activities of General Edward G. Lansdale. 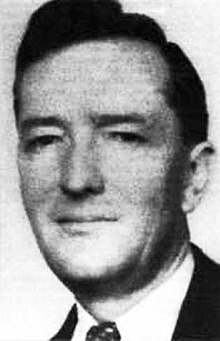 The general served in Southeast Asia and was described by former Director of Central Intelligence William Colby as one of the ten greatest spies of all time. While the IC-related items mentioned above should indeed be of interest to the UFO community, they are but a small sample of the many, many circumstances of which researchers of Fortean phenomena might be wise to take into account before promoting and rushing to fantastic assumptions. En route to considering Lansdale's trickery, let us briefly review the exploits of British professional magician turned intelligence officer Jasper Maskelyne. 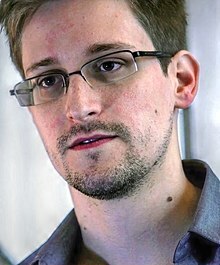 He was involved in deception operations during Word War II, according to such sources as a 1950 RAND (Research and Development) Corporation report submitted to the USAF and titled, The Exploitation of Superstitions for Purposes of Psychological Warfare. Major Maskelyne at one point apparently manufactured an approximately twelve-foot tall devil-like device that scared the daylights out of Italian peasants. The ruse assisted in creating support for English troops while villagers were led to believe the demon was associated with German forces. Interestingly and as Nick Redfern wrote, the circumstances were curiously similar to the Flatwoods Monster of UFO history, and the RAND report predated the Flatwoods case by two years. He made good use of these techniques, and of his knowledge of Filipino superstitions, in one of his most famous exploits. The Filipino army had not been able to evict a squadron of Huks from the area of a garrison town. A combat psychological warfare squad was brought in and, under Lansdale's direction, planted stories among town residents of an asuang or vampire living on the hill where the Huks were based. A famous local soothsayer, they said, had predicted that men with evil in their hearts would become its victim. After giving the stories time to circulate, the squad set up an ambush on a trail used by the Huks and, when a patrol came by, snatched the last man. They punctured his neck with two holes, held the body upside down until it was drained of blood, and put it back on the trail. The next day the entire Huk squadron moved out of the area (Lansdale 1960:6-7). Lansdale's operations also included the use of soothsayers for propaganda purposes in Vietnam during the 1960's. He oversaw the printing and distribution of literature containing predictions of a dark future for Communists as supposedly foreseen by the most famous astrologers. Several soothsayers were willing to cooperate – and Lansdale didn't stop there. "It is suggested that the U.S. Mission compile a list of the personal soothsayers and astrologers who service leading Vietnamese personalities, particularly those who will be candidates in the forthcoming Presidential campaign," Lansdale wrote in 1967 to Ambassador Ellsworth Bunker. "These soothsayers have a decided influence on the activities of many of the Vietnamese leaders, and their guidance may not always coincide with U.S. objectives. In turn, most soothsayers are vulnerable to certain influences, also. "Perhaps such a project is already being carried out, unknown to me. If so, I can think of some folks such as [Vietnamese] General Loan who deserve a bit of influencing." Jeff Ritzmann of Paranormal Waypoint published a blog post last year in which he addressed the likelihood U-2 spy planes related to Area 51 accounted for a surge in inexplicable aerial phenomena and as reported in the news. Ritzmann pointed out that specific missions and flight patterns could potentially be correlated with UFO reports. Doing so, he explained, might possibly reveal data and situations of interest if anyone had the inclination to conduct the research, and particularly as opposed to investing large amounts of time and energy in arguing hypothetical circumstances. I have often thought similar about Project PALLADIUM. If we know false radar paints were created, and were in some circumstances accompanied by the release of unusual aerial objects, it would seem we might take an interest in clarifying when, where and similar details that might be declassified. Such research might be considered comparable to a most practical list of known satellite re-entries as maintained by Ted Molczan and recently explored by Robert Sheaffer. UFO-researchers would be well served to occasionally take a step back from what seems to so often become the all engrossing world of UFOs and high strangeness, and look for a bit more context. That might particularly be the case when reviewing events that so frequently include the activities and interests of members of the intelligence community, a demographic skilled in deception. UFO enthusiasts, if sincere, could learn valuable lessons, important skills and relevant information from professional researchers in related genres which overlap with ufology. Dr. Garry Nolan is a geneticist at the Stanford School of Medicine. 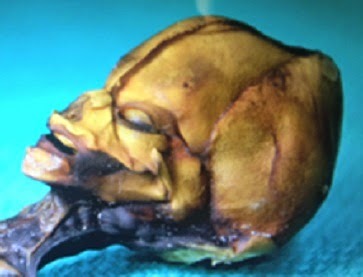 He is among the mainstream scientists showing a willingness to review evidence of what some believe to be an extraterrestrial presence, as demonstrated in his work on Dr. Steven Greer's Atacama Humanoid and the late Lloyd Pye's Starchild Skull. Whatever we may make of Greer and his tactics, his inclination to include Nolan in the examination of Ata should be considered a most relevant and interesting turn of events within the UFO community. In an effort to keep up with the ongoing saga, I recently emailed Dr. Nolan and asked if he would field a few questions for a blog post. He agreed. According to his Stanford profile, Dr. Nolan earned a Ph.D. in genetics from Stanford and a B.S. in genetics from Cornell. He is a professor of microbiology and immunology at Baxter Laboratory and a member of the Stanford Cancer Institute. He was appointed to the Board of External Experts of the National Heart, Lung and Blood Institute of the National Institutes of Health, and the director of the Stanford NHLBI of the NIH. His honors include an Outstanding Research Achievement from Nature Publishing Group, a Burrough's Wellcome Investigator's Award in Pharmacology and multiple awards from the Leukemia and Lymphoma Society. How did you become involved with Dr. Greer and the examination of the Atacama specimen? Please describe the circumstances and arrangements. I interpret from your published statements concerning Ata that you find the specimen somewhat curiously interesting from a variety of perspectives, but at this point you are convinced it was human and have no reason to suspect it represents anything of extraterrestrial origin. Is that correct? Could you please describe where you go from here? How do you see genetic research shaping and contributing to investigation of alleged extraterrestrials, Bigfoot and related circumstances? We are writing for publication now on ATA. I have brought in some very high level experts to help me assemble and mine the genome for results that might explain the morphology of the specimen. The specimen has interesting mutations, but all mainstream genetics. Nothing more can be said at this point as we are going to let the academic review take its course. Origin of my interest: When a friend of mine let me know about Greer’s specimen I thought "well, I can analyze that — if there’s DNA I can work on it". So, literally on a whim I emailed Greer and offered my help, and he answered very shortly thereafter. We met when he was out here in California and I learned about his movie Sirius (for which I agreed to be filmed). I was honored he trusted me to help. I arranged to have a dissecting microscope delivered to the site in Barcelona where the specimen resided along with instructions from Dr. Lachman (pediatric bone specialist here at Stanford who "wrote the book" on bone growth disorders in neonates and young children) on what angles he would need for the Xrays to best diagnose the condition of the specimen. The rest is part of the movie. As to the utility of DNA I am ambivalent. It’s so easy to contaminate DNA or misinterpret the results. I worry about this being done in the hands of other people who start out with a conclusion and interpret everything in the context of that conclusion. What do we learn then? You can’t be "just a skeptic", but you also can’t start with a predetermined belief. As to the general application of how to use DNA forensic evidence for exploration of claimed sightings, skeletons, or interactions – buyer beware. It is so easy to be tricked by DNA analysis that it does need the hands of people with the right experience to get it technically correct. And the computation required is not "desktop" — you have to be able to access databases of human allelic variants, ethnic variation in DNA, etc. to be able to put results in context. Would you please describe how you first came in contact with Lloyd Pye and subsequently involved with the Starchild Project? If I understand your previous comments correctly, you are extremely confident that suppositions are premature that suggest the Starchild Skull to be somehow linked to extraterrestrials. You did find aspects of the skull somewhat interesting, however, and informed Starchild Project researchers that protein sequence testing would potentially be a much more practical pursuit (than DNA sequencing) for several reasons. Those reasons included a higher likelihood of correctly establishing provenance and avoiding issues of sample contamination. Is that correct, and would you please comment on such circumstances? I reached out to Dr. Pye originally, and subsequently met him in Manchester, UK, around my offer to examine the skull (after looking online at his evidence). He was very forthcoming and brought the specimen here to Stanford (I paid for the cost of his visit). We had it examined with two high end instruments and by a noted bone specialist. While the skull is certainly unusual (no one can deny that), it also did not fall under the provenance of any known genetic syndromes (despite the skeptics online) according to local experts. So I think the Starchild group’s statements about that latter point are credible. However, that doesn’t mean it’s not a NEW, purely human, syndrome that affected the skull structure of the deceased. According to the bone specialist he still felt it fell within the realm of "unusual, but still human". He didn’t rule anything out, but he also didn’t suggest "not human". Interpret that last statement with all due care. Your summary of my online statements about the Starchild Skull (so far) is fair. Their (paraphrased) reply to points were essentially "We thank Dr. Nolan, but respectfully disagree" – which I feel is sidestepping the key issue. The facts are not open to interpretation unless they want to rewrite the rules of genetics. There is no analysis available by which they can take the data they have provided me, or on the web, to make the claims they do about FoxP2. I can only guess at the reasons they want to keep up such an obviously incorrect claim. Happy to give them room to prove their point as I am more than willing to consider alternative interpretations (I am probably more open to this than most mainstream biomedical scientists). There is no outcome I would enjoy more than the Starchild Team proving me wrong on the larger point of what they think they have. They just are not there yet — not even close with the genetics. The problem with the Starchild claims are they are too easy with even a college class in evolutionary genetics to dismiss as overstated. Their current claims, using the available evidence, undermine their goals. And (frankly) allows less open-minded skeptics to paint reasonable scientists interested in the area with the "enthusiast" brush. That discredits the larger goal of understanding exactly what is going on with the Skull and other phenomenon. Only good science, credibly applied (and not as wishful thinking) is going to help understand putative evidence in the form of bodily remains. The Starchild team should stick to verifiable claims, and move forward with good science. As I noted, there are more nuanced ways to look at the Starchild skull that cannot be easily disputed (protein). It appears the team has accepted to investigating that suggested avenue. I am hopeful they have other orthogonal verifications planned as well. I hope the protein works out for them because any DNA result first has to pass many credibility tests regarding the huge potential for contamination the remains encountered over the years. To be clear — I am not looking to "debunk" anyone. I am looking to get the more "incredible" claims off the table, if scientifically disproven, so the nuanced interpretations and more subtle evidence can be better examined. The answer to the whole problem of "are they here" I doubt is going to be found in the most obvious and sensational cases. So, I wish them luck. Truly.